A quick sketch tonight before dinner. The American Lobster, Homarus americanus, is a species of lobster found on the Atlantic Coast of North America from Labrador to New Jersey. 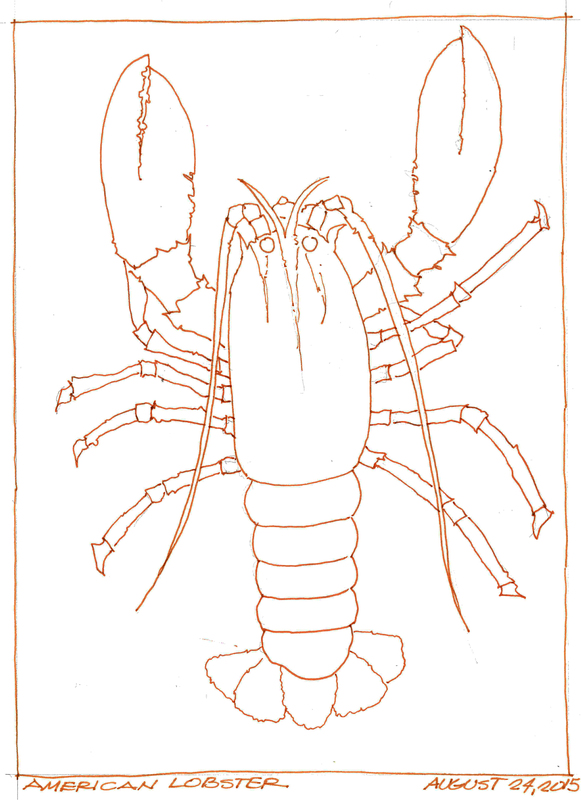 It is also known as True Lobster or Maine Lobster. It can reach a body length of 25 inches, and a weight of over 44 pounds, making it the heaviest crustacean in the world. American lobsters are usually bluish green to brown with red spines, but a number of color variations have been observed. Faber-Castell Pitt Pens in Sanguine color in an Alpha Series Stillman and Birn Sketchbook. oh how I love Maine Lawbsta!! !